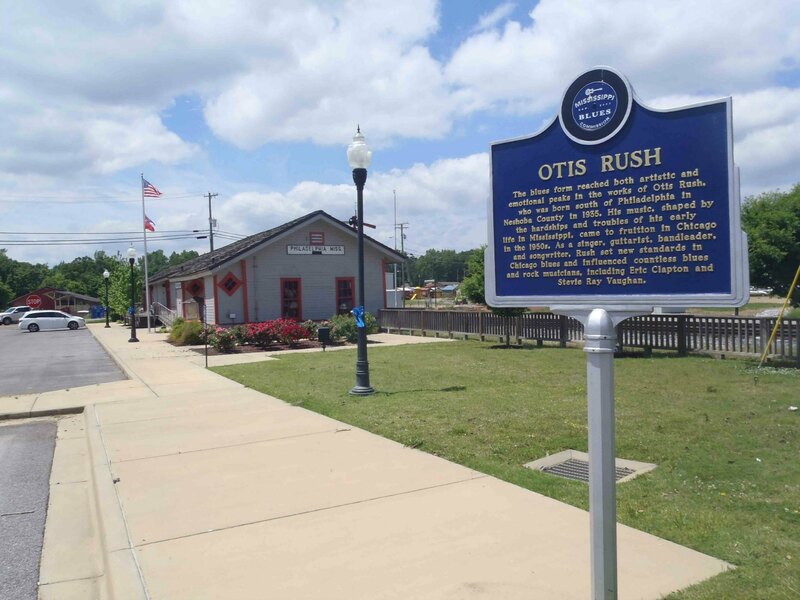 The Mississippi Blues Trail marker for Otis Rush is located outside the former rail depot in Philadelphia, Neshoba County, Mississippi. Another major rock band influenced by Otis Rush was Led Zeppelin, which included a cover of the Otis Rush version of Willie Dixon’s I Can’t Quit You Baby on the debut album Led Zeppelin in 1969. Here’s a video of Otis Rush performing I Can’t Quit You Baby. The MC is blues piano great Roosevelt Sykes. Here’s a video of Led Zeppelin performing I Can’t Quit You Baby.